Actress Yami Gautam- the vivacious Bollywood diva graced the ramp for KALKI, a Mumbai based fashion house at the finale of Bombay Times Fashion Week’ 18, one of the most anticipated fashion shows of the year. 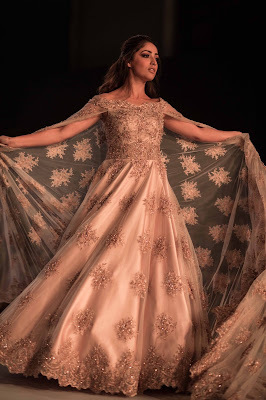 KALKI unveiled its exclusive runway collection themed ‘Spring-Summer 2018’ that envelopes designs evoking grandeur and sensuality with emphasis on luxury and modernity. The fashion show saw a huge support from T.V celebs like PankhuriAwasthy,Pooja Bannerjee, TanazIrani, Tanya Sharma, Mrunal Thakur along with top fashion bloggers such asMeghaBajaj ,Yamini Rameshh, Rose Puriand few others. KALKI’s Spring-Summer 2018 is an outbreak of modern meets baroque. It is inspired by the moods of summer hues and spring nature magiques. The collection is all about new textures, techniques and silhouettes. The subtly alluring palette goes from light pastels in Salmon Pinks and English Peach blending into the cornucopia of tangy mustards and dusty mints. Showcasing the sunset tones and moonlight hues at its best, these super illusive colors makes this tropical collection a pure energy to wear. The collection featured organza, flat chiffon, rich satin and raw silk with intricate craftsmanship with innovative techniques weaved into a modern dream. The collection challenged the existing composition and endeavored into an experiment that married iconic styles, which surprised and enticed the fashion forwards. Yami opted for anexquisite ballroom gown inspired by the color tones that delivers both charm and soothing sense to the style statement adding the hints of summer fun that speaks a design language that is unique and timeless. 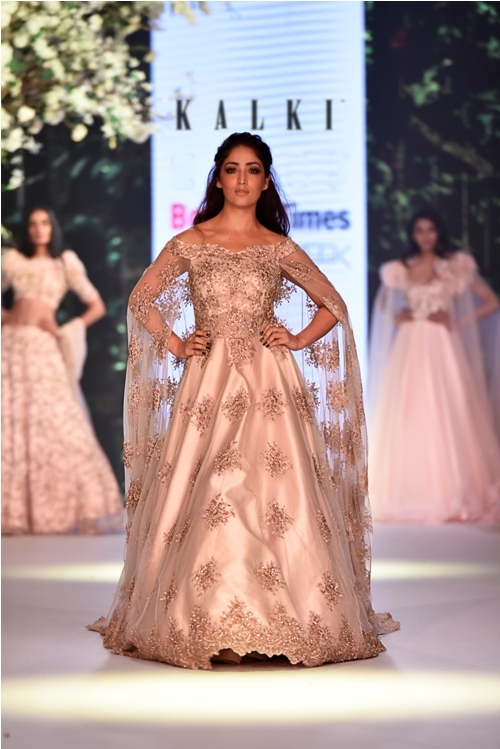 The ensemble in soft-lavender adorned with floral pearl embroidery with a long trail as the surprise element gave out a princessy vibe and dream land fantasies. 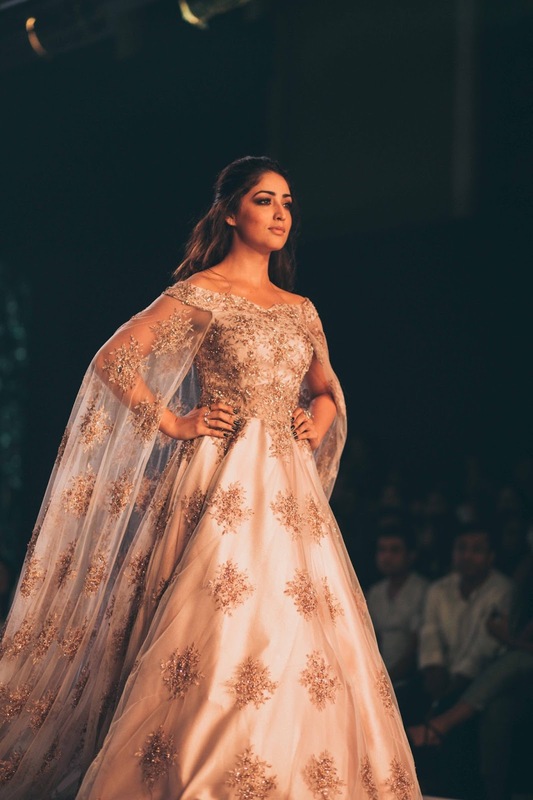 “I am superbly impressed with the designs that speaks the language of a beautiful fairytale which reminded me of the perfect sunset romance!” says, Yami Gautam. One of the designers at KALKI, Mr. Nishit Gupta says, “KALKI’s latest range of Spring-Summer collection evokes a sense of summer exhilaration while also lending an air of free spirit femininity and I think Yami did set the perfect example as the showstopper with her graceful appearance on the ramp. Driven by the weaves of traditional& European artistry, Spring-Summer 2018 Collection renders statement ensembles instilled with royalty, feminine elegance and urbanity giving it a luxurious feel.